What a busy year 2017 was! A year of changes and advances for PhotoIreland Foundation and photography in Ireland. Our core team consists of only two people, so a lot of the work couldn’t have been done without volunteers and interns who dedicate their free time to help us throughout the year. We want to extend a special thank you to the hard working Annie Welter, who joined us as a Social Media Consultant all the way from France to complete an internship and did a fantastic job! Huge thank you also to Neringa Bucaite, Cecilia Capozzi, Supriya Dhaliwal, Kimberly Goes, Philip Kavanagh, Lynn Klemmer, and Liam Devine (who joined us as part of DIT’s new Archiving in Context programme). This year, we saw the end of the second edition of New Irish Works, a year-long project launched in 2016. 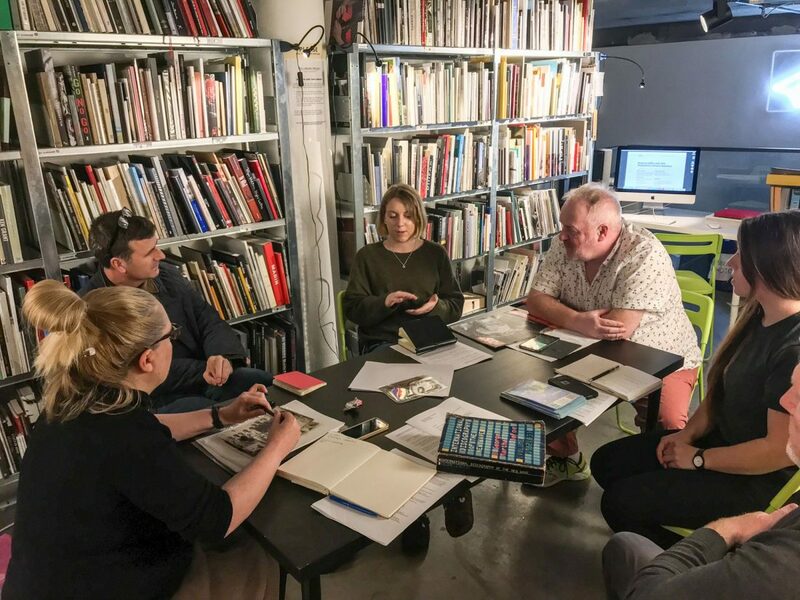 Running every 3 years with a different format, in 2017 it promoted 20 artists with a series of publications and presentations at The Library Project. 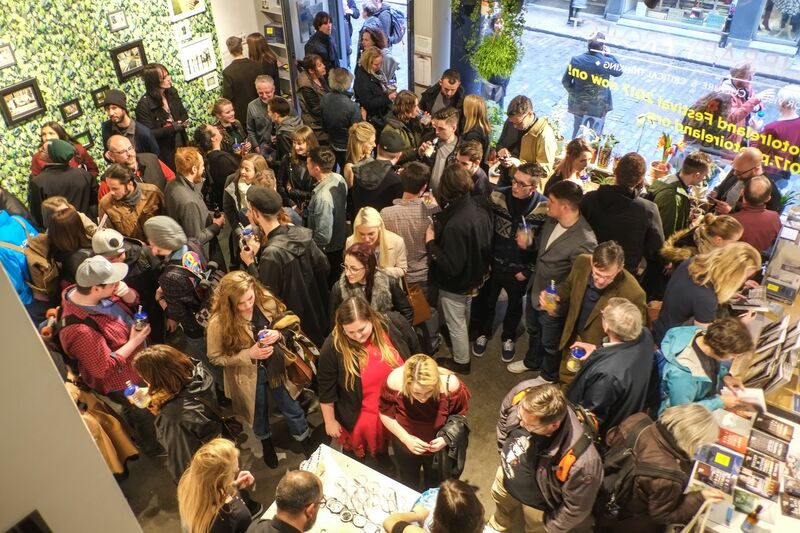 New Irish Works represents a great showcase of contemporary Irish photography, and for this it travelled to key events like PhotoEspaña and to Paris during Paris Photo, thanks to the support of the Centre Culturel Irlandais. You can find all the 20 New Irish Works online at The Library Project, and find out more about the project on its stand-alone website. In July, we hosted Robert Ellis’ latest project Proverbs, accompanied by the launch of TLP Editions. 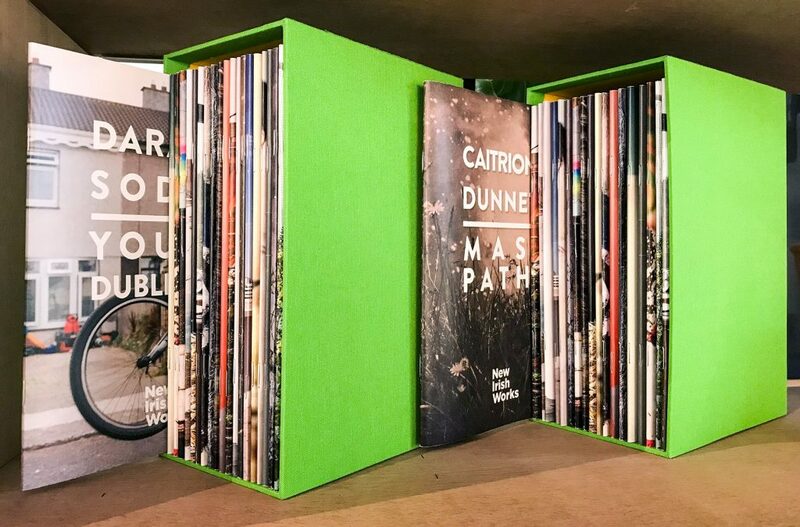 Expanding the idea of the New Irish Works project, TLP Editions was launched this year as an inexpensive and accessible collection of publications, that represent current emerging talent and new projects in contemporary photography. The photographers published are both by invitation and through an annual open call. In 2018, joining the invited artists will be Ellie Berry, Dylan Davies, Clare Gallagher, Hue Hale, Justyna Kielbowicz, Josef Kovac, Tommie Lehane, and Dianne Whyte amongst others. To date, we have published editions for Ruth Connolly, Jane Cummins, Sarah Flynn, Cristina Gismondi, Robert Ellis, James Forde, Ellius Grace, Kevin Griffin, Mark McGuinness, and George Voronov. You can get your copies of any and all of the TLP Editions online at The Library Project. The Library Project collection travelled to a major exhibition, in fact the largest and most comprehensive photobook exhibition to date. Entitled Photobook Phenomenon, it highlighted the role of the photobook in contemporary visual culture. 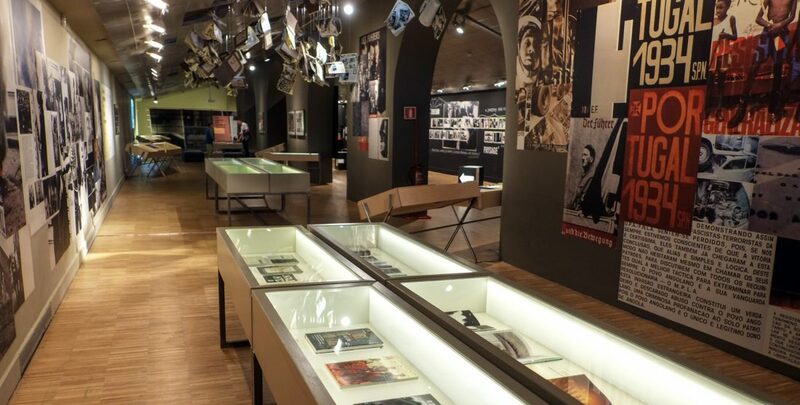 The show ran simultaneously at the Centre for Contemporary Culture Barcelona, CCCB, and at Fundació Foto Colectania, showcasing more than 500 photobooks. You can catch it next between March-June, when it travels to Museo San Telmo, in San Sebastian (Spain), also with books from the collection. We brought the latest photobooks added to our collection over the past year to Photobook Week Aarhus, in addition to lending specially selected photobooks to their exhibition Let’s Judge the Book by Its Cover. Throughout the year, we worked extensively in upgrading and professionalising most aspects of the bookshop, on and offline, bettering the management of stock, and the accountancy. This brought with itself a final separation between the online shop and the online collection. They now enjoy two separate websites allowing for growth, with room for their own complexities. We were chuffed to be featured in Wired magazine last September. We have to thank Matthew Thompson for the photographs and Asuka Kawanabe for visiting us all the way from Japan and writing this cool article. Also last year, The Library Project was featured in the world atlas for magazine enthusiasts. 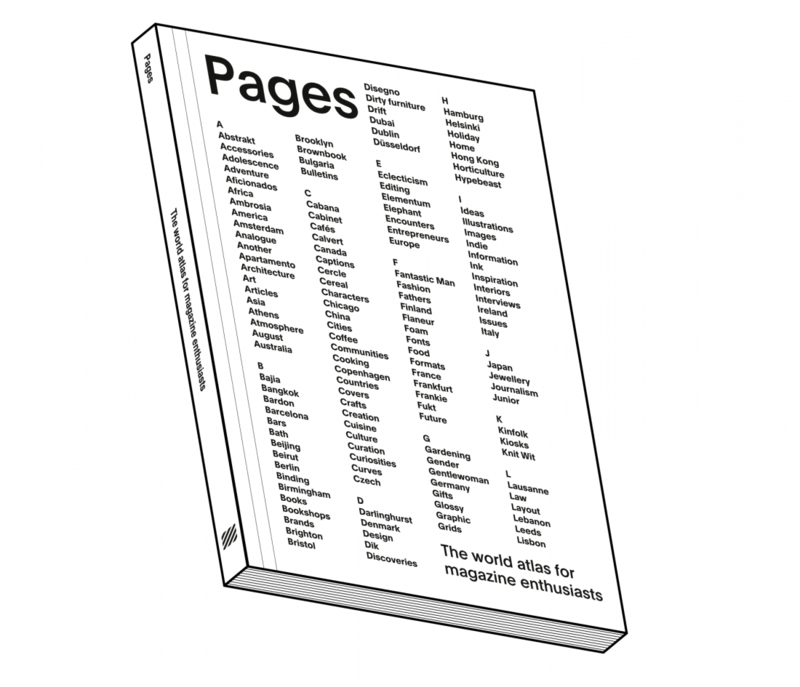 Entitled Pages, this book presents a thoroughly considered selection of independent magazines and the bookshops around the world where you can find them – on sale at The Library Project soon! 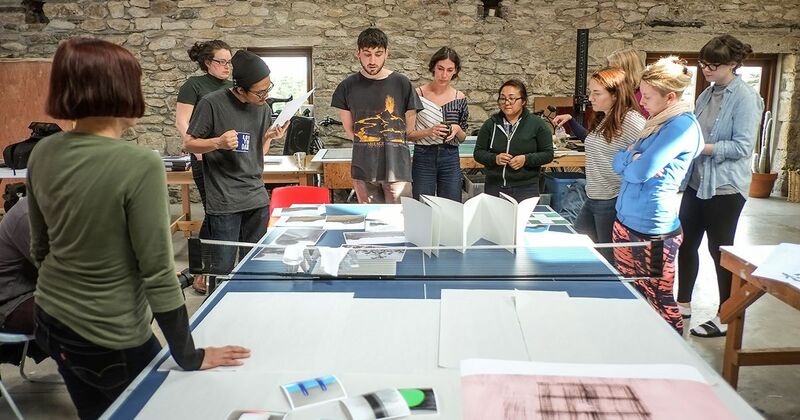 After years of planning, considering and discussing, we launched the Critical Academy: A space to learn the necessary skills for a sustainable artistic practice; cultivate critical mindsets, and challenge current discourses around the Arts and Photography; research the past and present, and collaboratively shape the future. 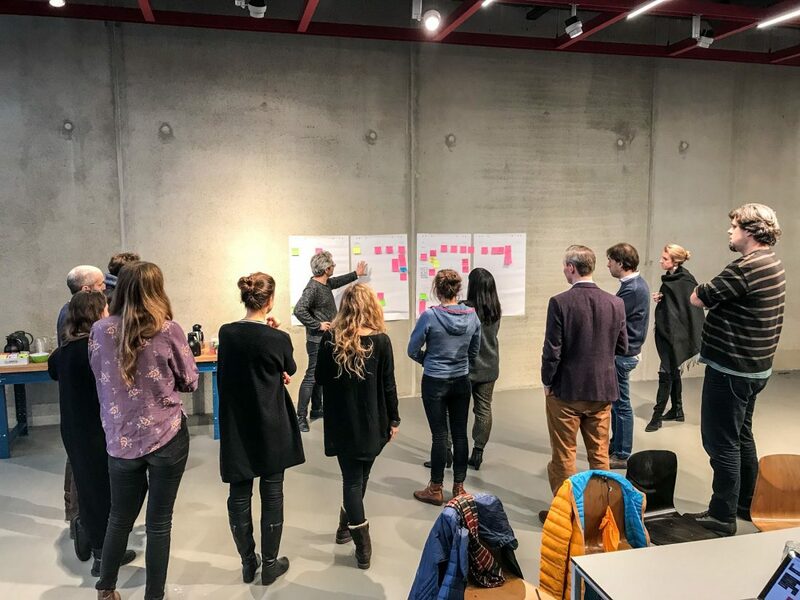 Consisting of three main elements, the Critical Academy presents a series of Seminars throughout the year, proposes crucial Research projects, and offers a new Development programme for emerging and established artists. Find out more about the Critical Academy and participate in the seminars. The eighth edition of PhotoIreland Festival saw photographers tackling the topic of conflict, offering a rich and contemporary look at diverse aspects around the concept. 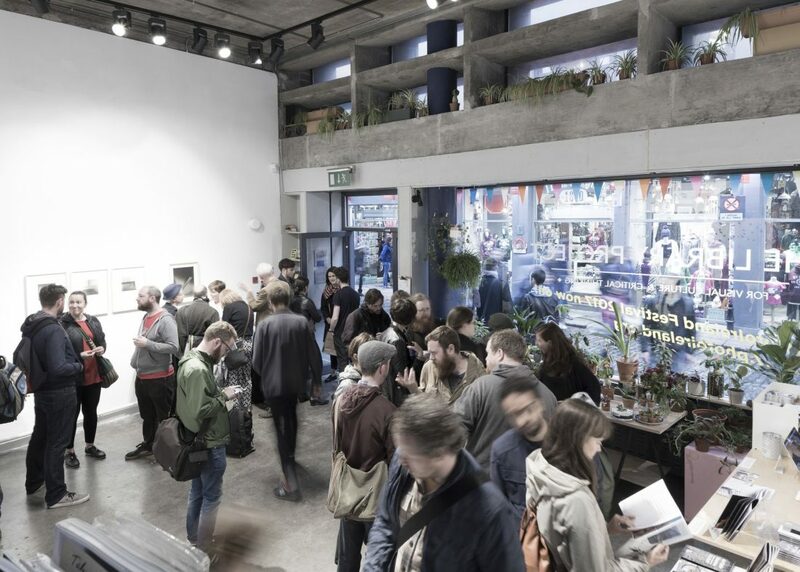 With the main group show entitled The Recount of Conflict,PhotoIreland Festival exhibited works by Anna Ehrenstein, Demetris Koilalous, Jasper Bastian, Marcus Haydock, Mark McGuinness, Martin von den Driesch, and Sascha Richter. You can read a review of this exhibition on The Thin Air. We are very grateful to The Tara Building for hosting the two main solo shows: Michal Iwanowski’s Clear of People and Steven Nestor’s installation Bellum et Pax. The festival was launched in this hyperactive new cultural hub. In the last edition of PhotoIreland Festival, we decided to stop offering portfolio reviews. 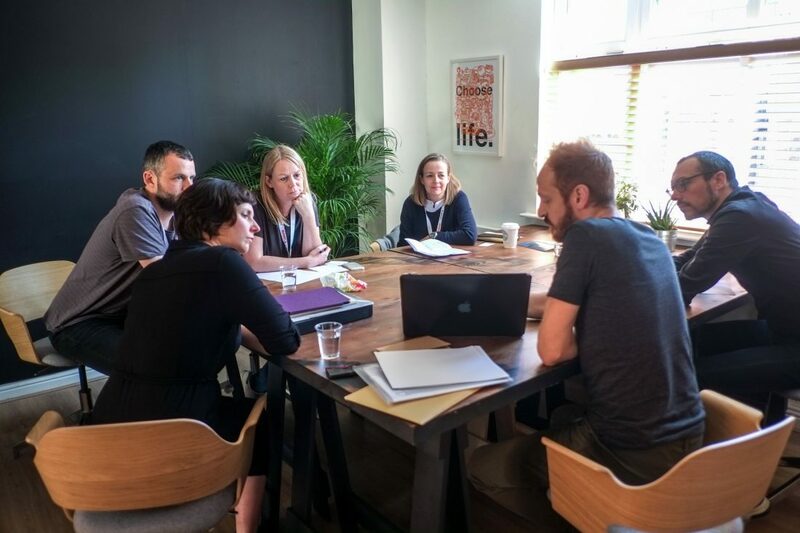 Instead, we tested out privately a new structure of Critical Practice Reviews, to replace the traditional meetings with a better format that would avoid many of its shortcomings, and the 2017 edition of the festival saw the official introduction of the CPR sessions. A key component of these reviews being the approach and the background of the experts. The success of our new photographic residency programme How to Flatten a Mountain, in partnership with Cow House Studios saw it entering its second year. With the support of the OPW, the culmination of the work was exhibited in the spectacular Rathfarnham Castle. The exhibiting participants in 2017 were Benedetta Casagrande, Kate Petley, Lauren Roeder, Mike Callaghan, Nathan Harris, Patricia Howard, Roisin White, Ruth Connolly, Val Patterson, Valéry Pelletier, Yinon Avior, and Zhao Qian. The applications for 2018 are now closed and the participants will be announced soon! Read the interview between Ángel Luis González Fernández, the festival founder and director, and Gemma Padley about PhotoIreland Festival 2017, in Photomonitor. Follow the latest updates for PhotoIreland Festival, check the current opportunities for 2018, or reflect on 2017. In 2017, we were invited to join two EU funded Platforms, supported by European Platforms of the Creative Europe programme. Following our previous EU Co-Operation project Flâneur – New Urban Narratives in 2015-16, PhotoIreland Foundation (participating as PhotoIreland Festival) was invited by Procur.arte to join their next ambitious project: PARALLEL – European Photo Based Platform. PARALLEL launched in Lisbon, in November, presenting two exhibitions – Showcase and Voices From Europe. To initiate our participation in the project, we have invited emerging artist Mark McGuinness to participate in the first cycle of the platform. During the Showcase exhibition, he displayed his work Dreaming of the Figure Eight. The next stage for Mark is the Curatorship, taking place in Kaunas, this February. In Voices From Europe, Eamonn Doyle exhibited his renowned project End. representing PhotoIreland Festival, as an example of both our programming and vision over the years. The EU Creative Europe Programme decided to support the establishment of not one but two European based Photography platforms. We count ourselves lucky to be also partners in the second platform, with the work-in-progress name European Photography Platform. It focuses on Unseen Amsterdam 2018 as the first main presentation of the platform, so stay tuned!! An extended edition of HALFTONE took place this year at The Library Project. Running for 18 days in its third year it was our busiest year so far! See all the artists and works. Established in 2009, the Inspirational Arts Award, is an annual award open to recent graduates from the photography and lens based courses. Previously held at Inspirational Arts, this year saw a move of the finalists exhibition to The Library Project and a new judge, Ángel Luis González Fernández. The finalists of 2017 were Julie Smyth (GCD), Cristina Gismondi (IADT), Gabrielle Drimalovski (LSAD) and this year’s winner Catarina Leone (DIT) with her work Chrysalis. Read more from the coverage at The Thin Air. The final exhibition of the year was Marrow by Jane Cummins. A work-in-progress exhibition created during her recent six-week residency at Belfast Exposed. As part of Fotobok Gbg, a symposium on Photobooks –Photography in Print and Circulation was organised by the Hasselblad Foundation and Akademin Valand with Ángel Luis González Fernández as an invited speaker. Ángel also traveled to Rome this year as an external examiner at the Officine Fotografiche Roma. We have lots planned for 2018, and we will be sharing this with you soon. Stay in touch: subscribe, follow, tweet, and participate. If you want to learn more, or have a specific question, please contact us. 2017Ailbhe Ní BhriainAisling McCoyAnna EhrensteinAnnie WelterArchiving in ContextBenedetta CasagrandeCaitriona DunnettCecilia CapozziCentre Culturel IrlandaisDara McGrathDaragh SodenDavid Thomas SmithDemetris KoilalousDITEanna de FreineEmer GillespieEnda BoweJan McCulloughJasper BastianJill QuigleyKate NolanKate PetleyKimberly GoesLauren RoederLiam DevineLynn KlemmerMandy O’NeillMarcus HaydockMark McGuinnessMartin von den DrieschMatthew ThompsonMichal IwanowskiMike CallaghanMiriam O'ConnorNathan HarrisNeringa BucaiteNew Irish WorksNoel BowlerParis PhotoPatricia HowardPhilip KavanaghPhotoEspañaRobert McCormackRoisin WhiteRoseanne LynchRuth ConnollySascha RichterShane LynamSupriya DhaliwalVal PattersonValéry PelletierYear in ReviewYinon AviorYvette MonahanZhao Qian.